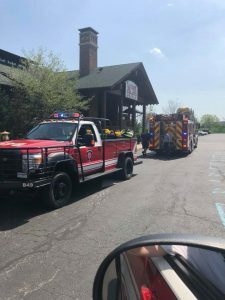 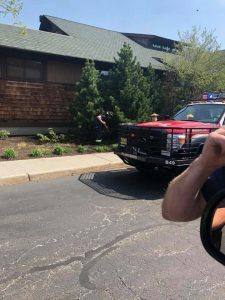 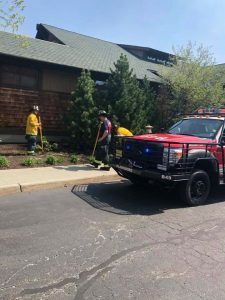 On Thursday, May 3rd at approximately 1450 hours, Brush 49, Squad 49, Engine 49, and Chief 49 responded to a brush fire near the Salt Creek building. 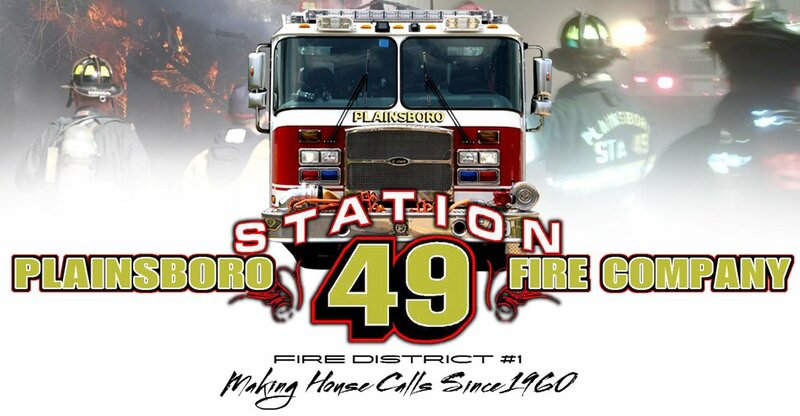 Brush 49 arrived and put two booster lines in service and quickly extinguished the fire. 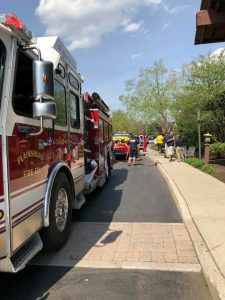 There was no extension to the building and the cause of the was accidental due to the dry weather.